For this week’s assignment we were asked to create our own Massively Open Online Course (MOOC) after we explored Peer to Peer University (P2PU). These classes are free, they are interesting, and did I mention they are free. These classes are offered online and can be accessed by numerous people (I mean thousands) at the same time. What a cool idea huh? I was utterly surprised at all of the classes that are offered. Within minutes of starting my search I found a class about the Holocaust. If I did not have two small children and I was not taking this class, I definitely would take the ten week MOOC. These classes are unique because students can choose classes that meet their interests/passions. This follows the theories of multiple intelligences and learning styles. In both, students are able to focus on their strengths, which increases student achievement because there is buy in (both by the student and the teacher). Howard Gardner’s says that with the multiple intelligence theory, “It has helped a significant number of educators to question their work and to encourage them to look beyond the narrow confines of the dominant discourses of skilling, curriculum, and testing” (Smith, 2008). This in turn helps students to be more successful because their teachers are thinking outside of the box. I cannot help but think that by allowing teachers to have the creativity to create their own classes (lets face it, most teachers do not get to teach classes they are always interested in) things in the school setting will only get better. Below in my proposal for my MOOC. In my Over the Top Organization course my peers will master the skills of cleaning and organizing by completing a series of lessons and sharing their organization handbook with their peers. This course will be open to anyone who is desperate to clean and organize their homes (and their lives). I believe anyone who has a genuine desire to become organized will be interested in my course. Also, the ease of the course will be attractive to people who have little extra time. People will want to participate in this course because having a clean and organized house helps people to feel better about their overall lives. 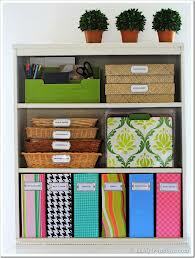 When life is organized, things run more smoothly. By the end of the course I want my learners to be able to create a handbook that helps them remain clean and organized in their everyday lives. This may mean the students will create their organization handbook using pictures, checkoff lists, charts, or simple journal pages. The openness if the handbook relates to the ideas of multiple intelligences and learning styles. Students create and use their handbooks in a way that is best for them. There is no right or wrong way to clean and organize a house. There is no right or wrong way to keep your ideas/suggestions in a handbook. This course experience is eight weeks in length. * Within each week, students will be asked to watch a video explaining their organizational task for the week. Also, they will be expected to follow my organizational blog. In this course peers will be asked to reflect on their organization experience (the good and the bad) each week. The peers will also be asked to take before and after pictures that will be placed in their organization handbooks. Both the reflection and the pictures will be organized by room/idea in the handbook. All of the skills and activities work together to help the individual complete the organization handbook. These activities are done in a fashion where the student does not feel overwhelmed (one area/room per week). Also, there is no right or wrong way to complete the organization, creativity is strongly encouraged. Peers will be able to have open communication and complete freedom of expression in the class. Students will be expected to create a blog and follow four fellow classmates in their organization journey. There will be an expectation that students comment on each of the four blogs they are following each week.